UTSA archaeologists are collecting all types of clickers (e.g. : iClicker, Turning Point and other brands) to support schoolchildren in Belize. (Feb. 9, 2015) -- Archaeologists in the UTSA Department of Anthropology are collecting clickers to support schoolchildren in Belize, where they are participating in ongoing fieldwork. The service project aims to bring technology into an elementary school classroom in Belize, where clickers are currently unavailable. The goal of UTSA’s archaeologists is to donate a classroom set. Donated clickers and base stations will be delivered in person to Mount Carmel Primary School in Benque Viejo del Carmen, Belize. The archaeologists will also help the classes learn to use the clickers properly. Clicker technology is currently unavailable in Belize, however teachers at Mount Carmel are eager to integrate technology into their students’ education. Access to and experience with different technologies provides all students with opportunities to develop important technological skills and pursue careers in technology fields. 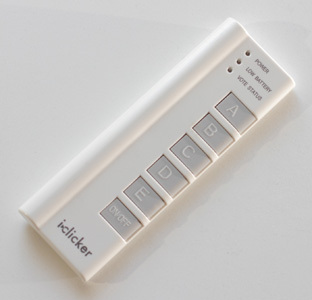 Clicker systems also provide students with unique classroom learning opportunities while giving instructors a way to assess student comprehension in real-time, particularly in large classrooms. The UTSA archaeologists are collecting all types of clickers (e.g. : iClicker, Turning Point and other brands). Drop off donations at the UTSA Department of Anthropology (MH 4.03.38) before the end of the spring 2015 semester or contact Leah McCurdy at leah.mccurdy@utsa.edu.